Amazon has changed the way consumers buy things, and now it wants to change the way those items are delivered. Instead of leaving boxes on your doorstep, Amazon has created a new service called Amazon Key that will allow deliveries to be safely deposited inside your home, even when you aren’t there. The service, which is currently only available to Amazon Prime members, requires consumers to install an Amazon Key-compatible smart lock on their front door, the company’s new Cloud Cam inside their home, and the Amazon Key app on their phone or smart device. When the time comes for a delivery to arrive, a courier will be able to remotely unlock the front door and place the package inside. In the video below, Amazon explains how the service can be used for receiving packages or for providing scheduled access to family, friends, or other services like cleaners or pet sitters. Of course, not just anyone will be able to gain access to your home through the service. To gain entry to a customer’s home, a delivery driver requests access through an encrypted authentication process that determines if the driver is at the right address with the correct package. After receiving all the necessary confirmations, Amazon then sends a signal that unlocks the door and initiates the Amazon Cloud Cam to start recording. The driver never receives an access code and the customer is alerted so they can view the delivery in real time on their smartphone or watch a recording later. “Amazon Key gives customers peace of mind knowing their orders have been safely delivered to their homes and are waiting for them when they walk through their doors,” said Peter Larsen, Amazon's vice president of delivery technology. 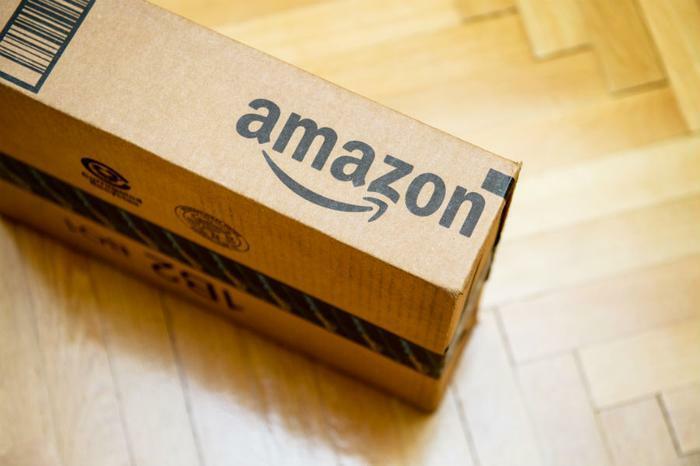 Amazon says the service is designed specifically with Prime members in mind, since these consumers not only buy a lot of things from Amazon but tend to be busy and not at home when important deliveries are being made. To use the service, Prime members will have to buy the Amazon Key In-Home Kit -- which includes the smart lock and Amazon Cloud Cam -- for $249.99. Consumers can choose to install the equipment themselves or have Amazon professionals install it for them at no extra cost. Currently, there are no extra charges applied to Amazon Key deliveries; eligible shoppers simply have to select the “FREE in-home delivery” option when checking out items on the site. The service will be available starting November 8 in 37 U.S. markets. For more information on Amazon Key, including a list of frequently asked questions, consumers can visit Amazon’s site here.